As popularised in Peter Mayle’s books, the English do seem to have a love affair with France, and in particular Provence. And of course, what’s not to like? Glorious weather (which I’m dreaming of having endured the umpteenth downpour in the UK’s wettest drought), great food and ingredients, and of course a seemingly bucolic lifestyle. Obviously reality is normally very different to the chocolate box imagery that is frequently thrust upon us, and so it was with great interest that I found aix&terra, a newly launched brand from Aix en Provence that not only revels in the produce of this area, but offers it a contemporary and new way. Made from Rose petals, fresh eggs, sugar and lemon juice, this amazing curd is like the aroma of the most pungent rose, but made edible. Delicious, but not cloying. Calissons are Provencale petits fours, that combine Royal icing with ground almonds and candied fruit (either melon or orange). 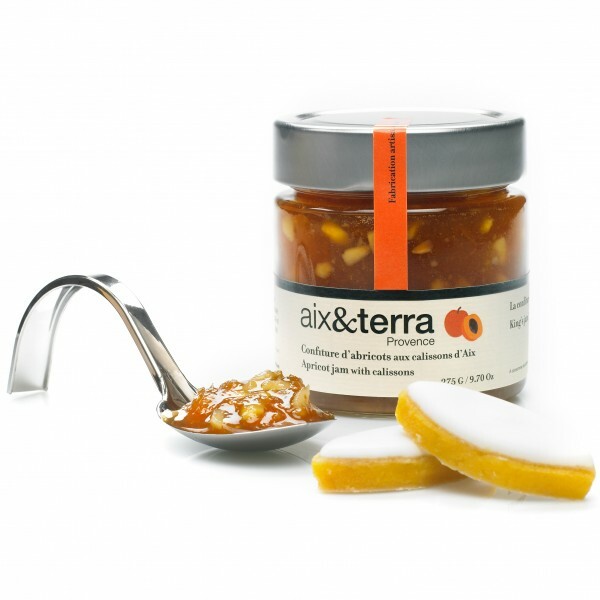 Here, they are incorporated as part of a fruity Apricot Jam. 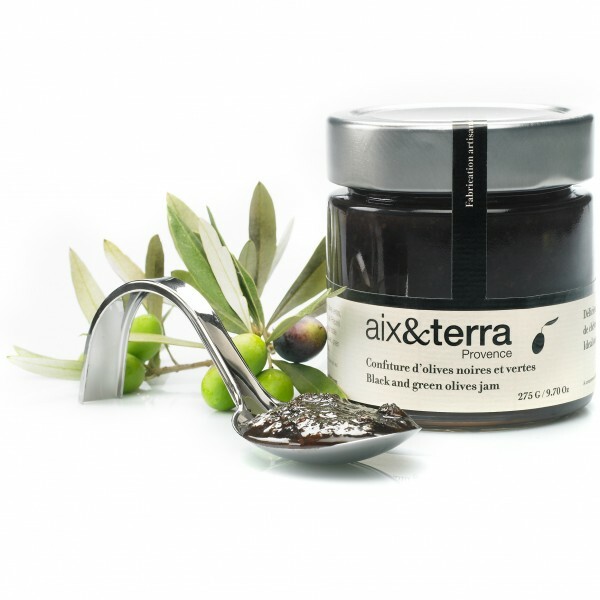 Green and black olive jam. A mix of green and black olives that have been slow cooked with sugar to yield an unusual sweet salty hit. Sadly this range isn’t yet available in the UK, but you can order online for international shipping. Handily if you spend over €50 it’s free delivery. Tempting.